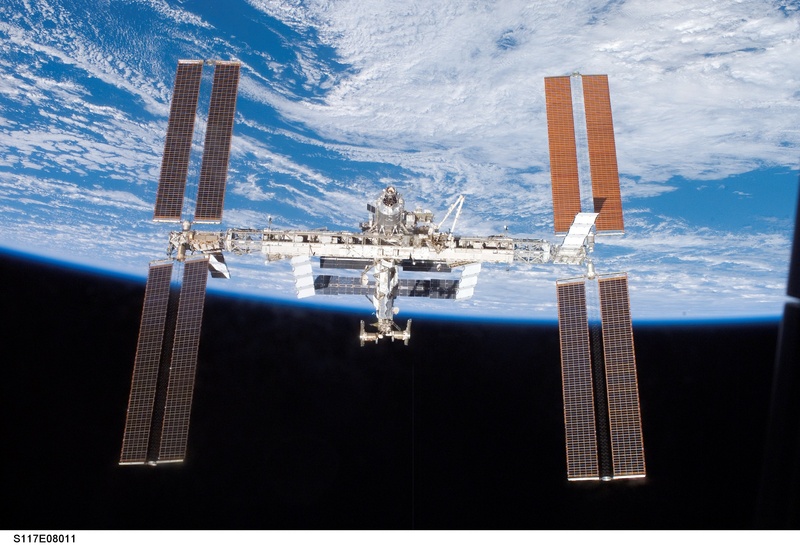 Explanation: The developing International Space Station (ISS) has changed its appearance again. During the past week, the Space Shuttle Atlantis visited the ISS and added pieces of the Integrated Truss Structure that mirrored those added in September 2006, including a second impressively long array of solar panels. The entire array of expansive solar panels are visible at the edges of the above image taken by the Shuttle Atlantis Crew after leaving the ISS to return to Earth. The world's foremost space outpost can be seen developing over the past several years by comparing the above image to past images. Also visible above are many different types of modules, a robotic arm, another impressive set of solar panels, and a supply ship. 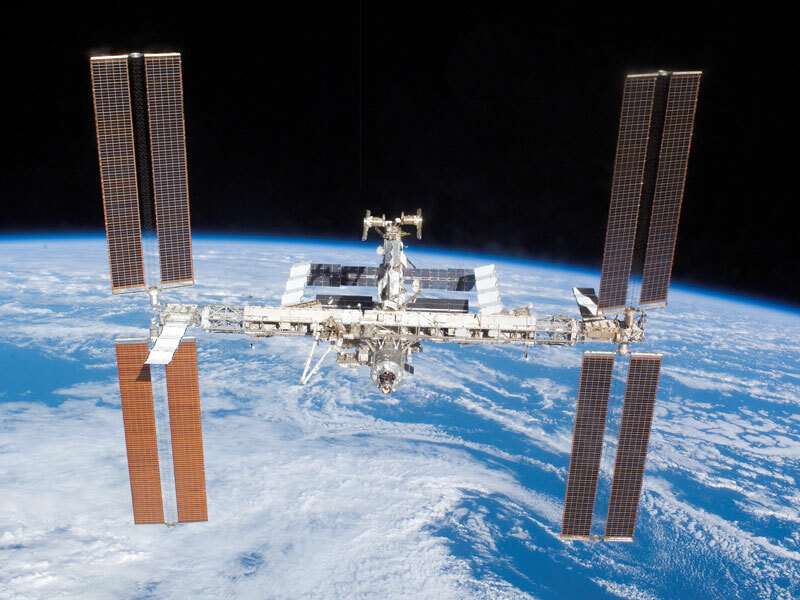 Construction began on the ISS in 1998.